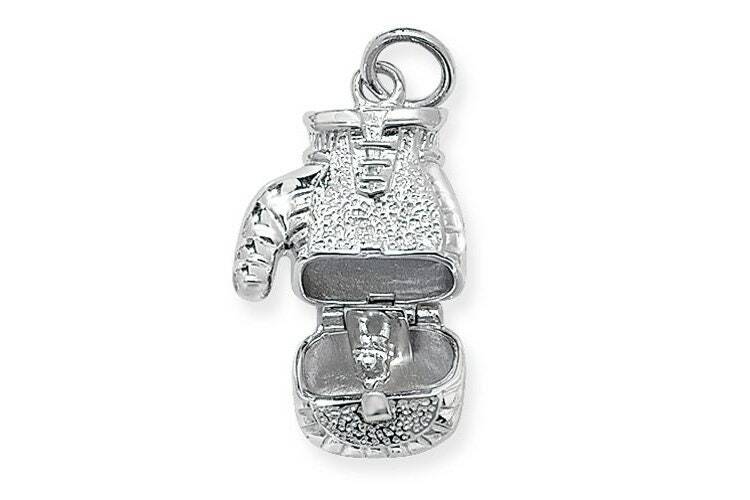 Sterling silver opening and closing boxing glove pendant. Glove size 2.5cm H x 1.8cm W (excluding bale). Loop opening 5mm diameter.